Job interviews are tough and no sector is tougher than financial services. If you’re a student or recent grad who is trying to break into the industry, you can use all the help you can get. Here are nine tips to keep in mind for your next interview. If you’re looking for extra help be sure to download The Ultimate Finance Student Interview Guide for free. Have examples prepared for your strengths, weaknesses, and interests. If you state that “maturity” is one of your strengths, the next logical question is to ask to elaborate by providing an example. If you state that one of your interests is film, the next logical question is to ask for your top [x] all-time favourite movies, along with explanations about why you like them. Be prepared to demonstrate the attributes that you declare. 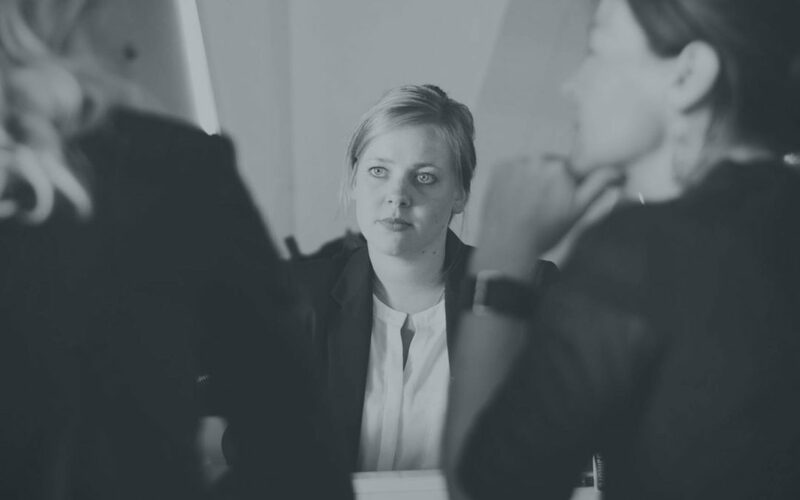 There are things you can do to shape the interview in your favour, but it is important not to be too forceful. Steer your answers toward topics that you’d like the interviewers to be aware of or investigate further (this applies mainly to the qualitative questions). When asked an open-ended question, play to your strengths – don’t bring up things that you can’t discuss in detail. Everything that you mention in an interview is fair game for further questioning. Investment banking is a stressful job. Between the long hours and fast-approaching deadlines, bankers don’t want to have to work with people who can’t cope with the stress. Part of their job as interviewers is to gauge how well you respond to new scenarios. The best you can ask of yourself is to be composed, so that you can rely on your instincts and lifetime’s experience to pull you through. The required composure, in turn, is something that can be developed – it’s the product of the right frame of mind. You need to prepare yourself psychologically for the unexpected and walk into your interviews with confidence and an open mind. Investment banking is the most conservative business in the world. Ultimately, the job of investment bankers is to advise CEO’s and CFO’s on the strategic financial management of their firms. No executive will take advice about their own business from an outsider who doesn’t look the part. Every banker will tell you that a pitchbook is only as effective as how good it looks; indeed, it’s difficult to sell something that isn’t visually appealing. Shirt pressed, shoes polished, hair cut, face shaven, nails clipped, breath freshened. No detail is too small. Stand tall, sit upright in your seat, look your interviewers in the eye, give a firm hand shake, and smile. Remember that the interviewers are just people – they’re subject to the same prejudices about first appearances as everyone else. Be as presentable as you can be, and carry yourself with confidence. 6. If you don’t know, don’t try to B.S. You’re still only a student. You’ve never done an investment banker’s job, and the only exposure you’ve had to finance is through your finance classes at school and whatever relevant extracurricular activities you’ve become involved in. Recruiters don’t expect you to know everything, but they will try to find out how much you know, so don’t expect to know the answer to every question they’ll ask. The worst thing you can do is being caught in a lie. Be honest – you’re far better off saying that you’re not familiar with the topic in question and postulating how you might approach the problem given your limited experience than pretending to know everything inside and out. Knowing your limits and seeking help is a sign of maturity, which is something that the recruiters are looking for in their candidates anyway. Read about investment banking and become familiar with the job. Talk to senior students and alumni about their summer and full-time experiences. The more familiar you are with the rigours of the job, the better able you’ll be to demonstrate that you can handle them. Even though you might understand a concept, the true test of whether you can demonstrate your knowledge convincingly is to say it out loud. Practice out loud by yourself or with a friend. Rehearse everything as much as possible. Highly qualified candidates have been refused offers or second round interviews because the recruiters weren’t convinced that they were interested in working for their firm. Do research on every company you interview with – the more you know, the greatest the level of interest you demonstrate in each firm. Download The Ultimate Finance Student Interview Guide. 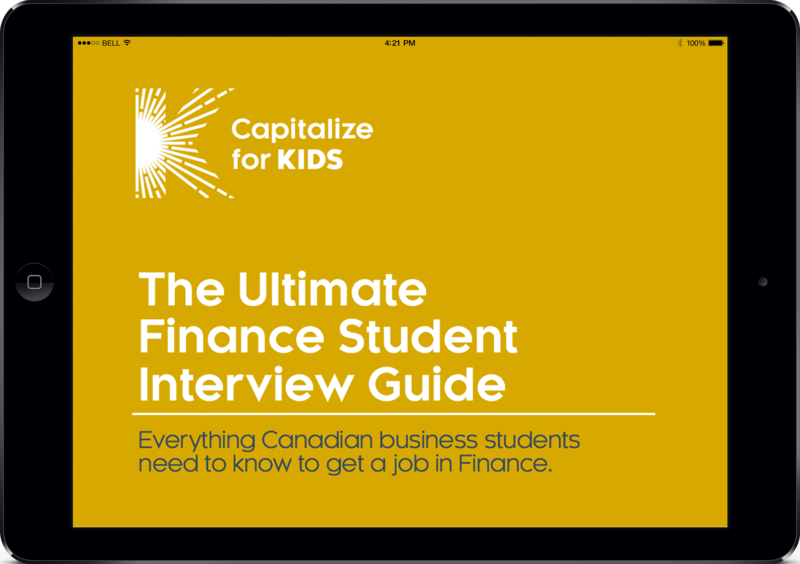 It contains everything Canadian business students need to know to get a job in finance.